When it comes to the right choice for your flooring, there is no end to the options open to you. From laminate to hard wood to tiles, the list is endless. 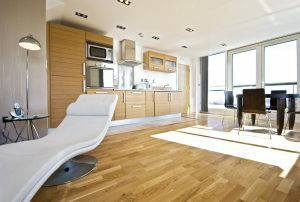 Oak flooring, though, has caught up in popularity in recent times, with many home owners choosing this type of flooring above others. With the many features of Oak that make your home come alive, though, there is always a choice here too. 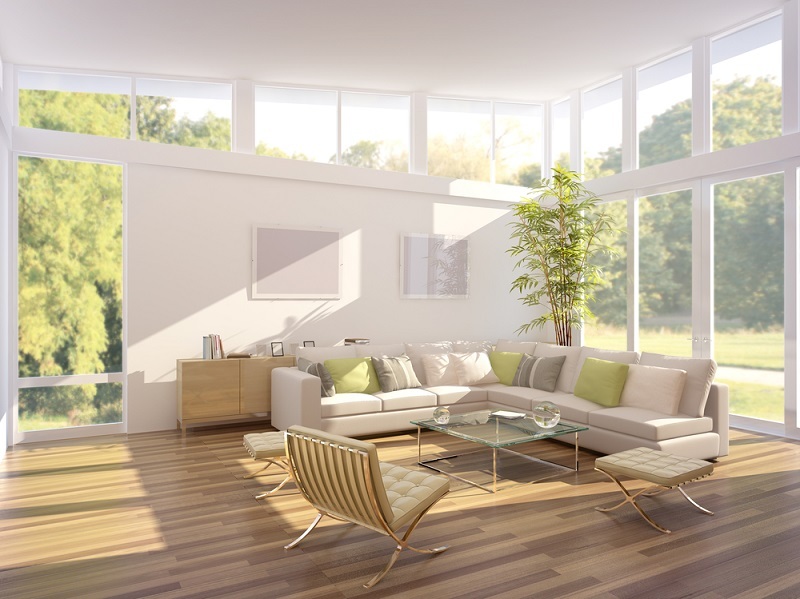 Solid flooring has its advantages, but engineered oak flooring surpasses its advantages, and it is no wonder that it is preferred among a growing number of home owners. If you were debating on the benefits, here they are for your consideration. It looks just like real wood and even the toughest skeptics will have a hard time believing that engineered oak flooring is not solid wood. Engineered oak doesn’t expand or contract as much as solid wood does. Apart from its great looks, this means that it is safe to lay in areas of your home where the expansion or contraction of solid floors will be a problem. In particular, bathrooms and kitchens benefit from engineered wood since temperature and moisture levels fluctuate here a lot. Engineered oak flooring is extremely durable since they are made of multiple layers of plywood that are bonded together and topped off with a solid wood layer. The way in which this wood is constructed makes it much more durable and able to handle heavy footfall, both in commercial and domestic environments. Engineered flooring can be sanded and refinished so that it looks much better. Sanding brings your floor back to life even when it looks jaded and tired, and also gets rid of surface stains. Once it is sanded, you can refinish your floor either to have the same look as it did earlier, or you can give it an absolutely new look. 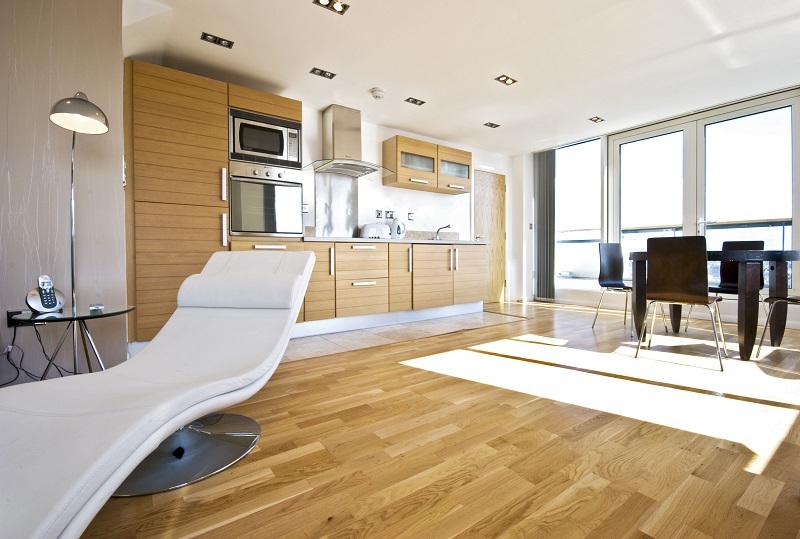 Engineered oak flooring comes in different grades so that you can choose one depending on your budget. Choose from tough, lacquered wood or low budget options to top quality finishes for your lifestyle and wallet. Additionally, since these woods are not dependent on the size of a tree, you can get wide solid boards and are not restricted to narrow boards because of your budget. Wider boards mean that there are less joins in your floor and you can install your engineered wood floor in a much shorter time in comparison with solid flooring. 6. Engineered wood gives you a lot of flexibility with style and finish. Since you can get wood flooring boards in chevron and parquet styles, you already have your desired finish in place and can simply choose from one of these if you want to complete your home project without waiting for ages for it to be finished with solid wood. Having been conceptualized ahead of time, engineered oak flooring also comes with convenient kits so that you can install it yourself if you love DIY projects. 7. The greatest advantage of engineered oak flooring is that it is easy on the wallet although it looks like it has cost you a fortune. 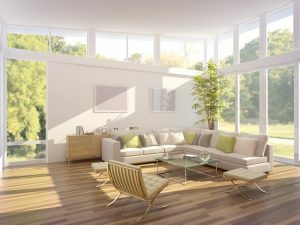 Since it is almost similar in looks to solid flooring, it is certainly a great option since visitors won’t really know whether your floor uses real wood or engineered variants. Having read through the benefits of engineered oak flooring over solid wood, choose engineered options for your next home flooring project. Rather than spending a lot of money on real wood and destroying the environment in the process, choose an eco-friendly engineered variant and save money and save trees!